Our auto repair center has the latest diagnostic equipment and the best technicians to keep your vehicle running right. We pride ourselves in customer service & we work hard to ensure we provide people with the best customer experience. We know our customers are always looking out for the latest deals, look no further, see what offers we have running for our customers! Serving the community for 15 years, our technicians have the skills to handle any repair or service of your vehicle so get in touch now! 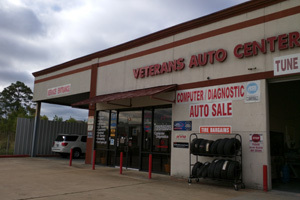 At Veterans Auto Center, our trusted technicians have been serving the community for 15 years, and have experience handling any auto repair and maintenance service for your vehicle. Located in Houston, TX our auto repair center is ready to serve all your car repair and maintenance needs. We pride ourselves in our knowledge of general repair and maintenance to get your car back on the road. We are a 2015 Gold Star Certified Better Business Bureau® business. 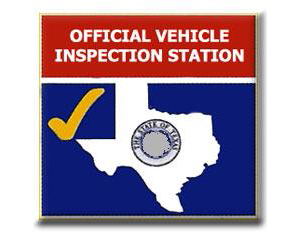 Our techs are also ASE certified auto repair technicians so you know your vehicle is in good hands! From Oil Change to Air Filters, our professional team of technicians will make sure your car is running in excellent condition for the years to come. “I don't remember the cost of an oil change here, but for the few times that I've been here, the owners and mechanics are very honest and I don't remember them over charging. They saved me a bunch of money once. I was told by a mechanic from another shop that I had to change out my transmission system, so I took it to this place for a second opinion. He found the problem and it was not anything related to the transmission. Guys like this are hard to find. It turned out to be a cheaper fix! They also do annual car inspections here. “Great place for the care of your car. It's a family owned business. I've taken my car here for the past 10 years for basic maintenance such as oil changes and fluid replacement. Also great tune up place as well with highly knowledgable staff, and the service is impeccable. They also honestly let me know of potential problems that may come and are not uncomfortably forceful in persuading me to fix my car.The owners are honest with the pricing and are sharp to catch difficult to diagnose problems with the car. If they can't fixit then they know to refer to another place, saves time, money, and trouble. I like that.